Thus, word smithing is expertly using words. As a copywriter, I consider writing my vocation, I consider myself a wordsmith. Editing is a part of what I do. And, when I edit, there is much more involved than just ensuring proper comma use. It is splitting hairs on the meaning of words to make sure the author is making their point to their audience. Editing is about asking questions that make the author look at the material in a whole new way. And, it is about making sure commas – and other punctuation – are properly placed. My friend Cyndee Paulson-Heer (founder of The Enchanted Woman™ network) is also a wordsmith. We can spend hours debating the meaning as well as the intention of a word. OK, maybe not hours on one word. But it can take us a heck of a long time to get something written because of all the words we will quibble over. This is not a common trait, and I relish working with her. Words are so powerful. When used without care, they can cause harm. In fact, when used with evil intent, words make one of the best weapons out there. A powerfully crafted speech can do wonders for a mediocre speaker. And a poorly written speech can make a great orator just a person with an amazing voice. Without the wordsmith, without the process of word-smithing, there would be no inspiring of the masses (for good or evil). We need to inspire the masses to make great changes happen. As you can see, words, writing, and CLEAR communication are my passion. I agree that “value proposition” means nothing. I argue that “word-smithing” means more than just editing. And I abhor when people throw around terms simply because they think it makes them sound smarter. 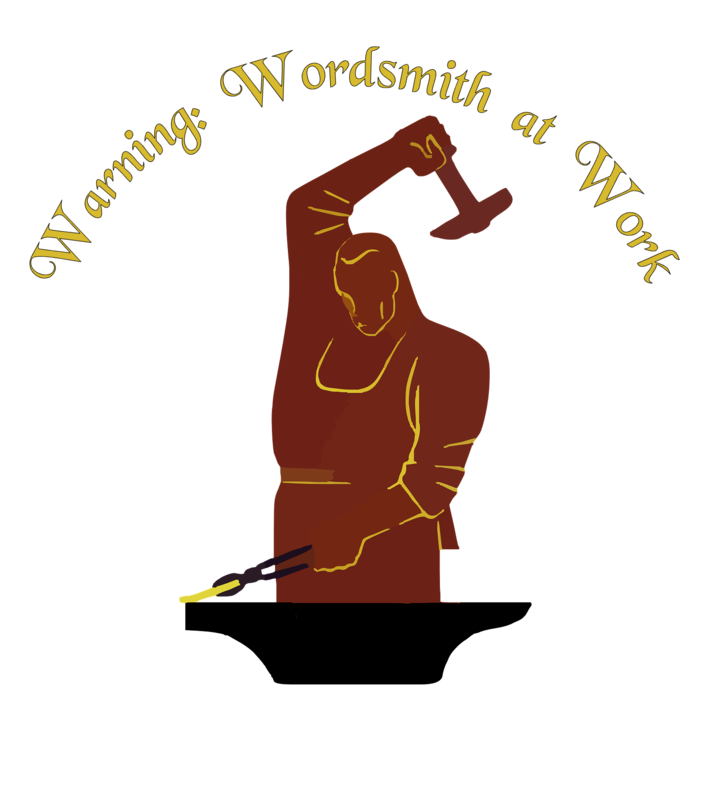 If all you’re going to do is edit something for spelling, grammar, and punctuation, you are NOT word smithing. Use your words, and use them correctly! “And I abhor when people throw around terms simply because they think it makes them sound smarter.” Funny.